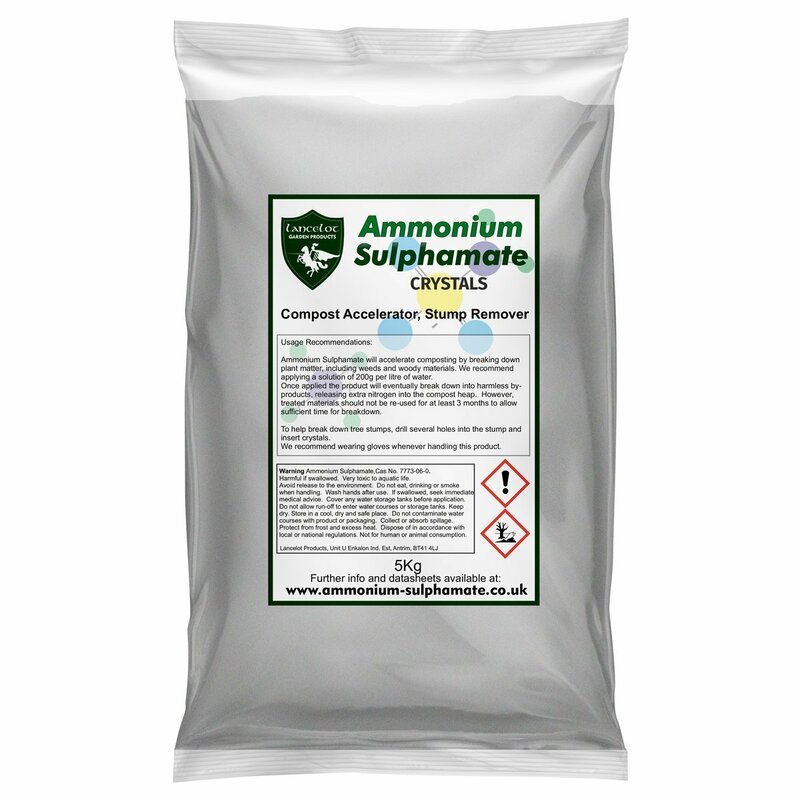 Ammonium sulfamate is used as a compost accelerator. It is especially effective in breaking down the tougher and woodier weeds put onto the compost heap. As a herbicide (outside the EU) – Ammonium Sulphamate was once considered to be particularly useful in controlling tough woody weeds, tree stumps and brambles. However in 2008 the EU removed its approval as a registered herbicide and therefore it can no longer be advertised or sold explicitly for this purpose. We therefore do not sell ammonium sulphamate for this purpose. Its availability and use as a compost accelerator is unaffected by the EUs pesticide legislation.